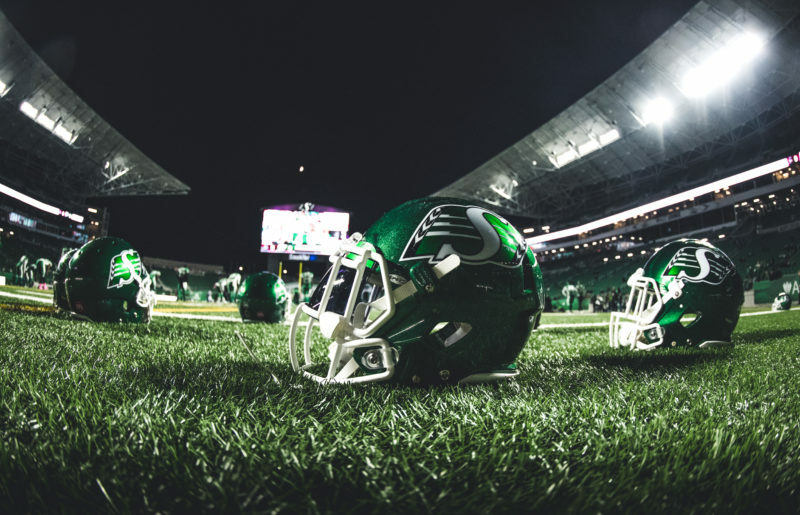 The Saskatchewan Roughriders’ 2018 regular season was filled with ups and downs. For centre Brendon LaBatte, that latter group doesn’t matter one iota anymore. “We’re not looking back now,” the veteran CFLer said after Saskatchewan’s regular-season finale, a 35-16 victory over the B.C. Lions on Saturday at Mosaic Stadium. “We don’t know the valleys; we only know the peaks. The Roughriders completed their regular-season schedule with a 12-6-0 record and will finish in the top two in the West Division. As a result, Saskatchewan will stage a home playoff game for the first time since 2013. 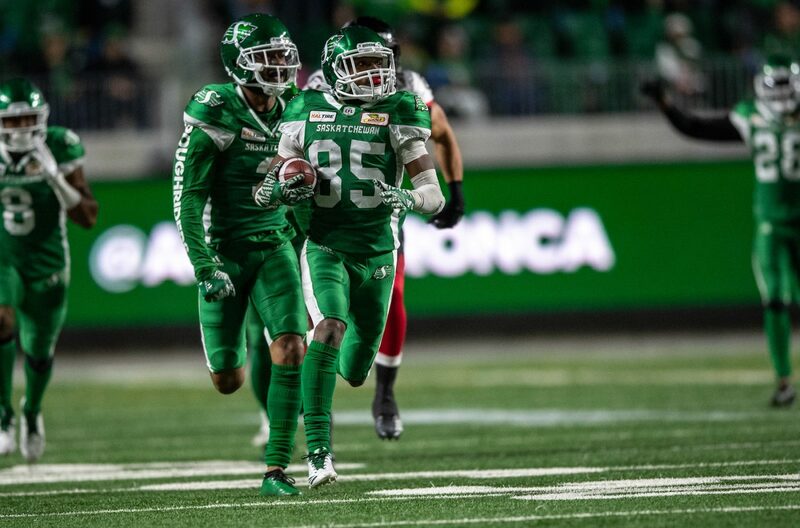 Where the Roughriders will finish and in which playoff game they’ll appear first will be determined Saturday, when the Calgary Stampeders visit the Lions. If Calgary wins or ties, it will finish first and will play host to the Western Final on Nov. 18. That means Saskatchewan would entertain the Winnipeg Blue Bombers in the Western Semi-Final on Nov. 11. If the Lions win Saturday, the Roughriders will finish first based on their victory over Calgary in the teams’ three-game season series. Saskatchewan then would be the site of the Western Final on Nov. 18 and the Stampeders would play host to the Bombers in the Western Semi-Final on Nov. 11. A first-place finish would be Saskatchewan’s first in the West since the 2009 season. It also would represent a significant in-season turnaround for the Roughriders. 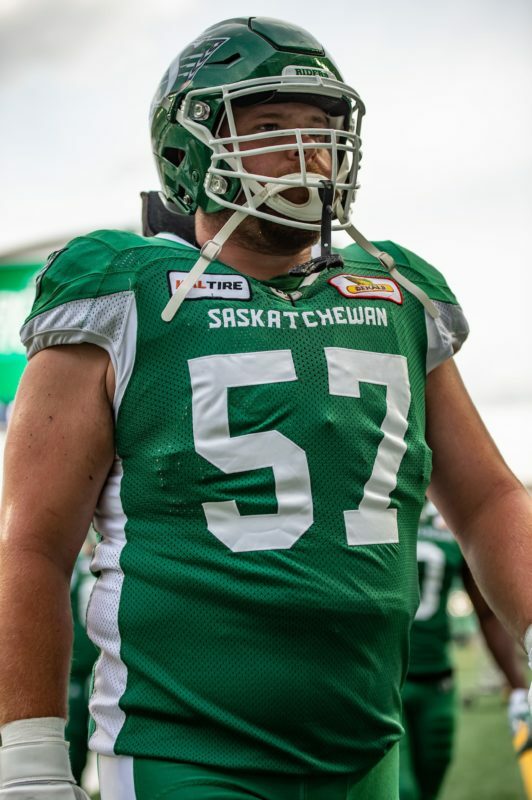 As LaBatte said after Saturday’s game, there was a time this season when it appeared that Saskatchewan wouldn’t even make the playoffs. Through Week 9, the Roughriders had a 3-4-0 record and officially were in fifth place in the West. That’s a valley, all right. “That’s how football is — and the best teams stay the course,” defensive tackle Eddie Steele said when discussing the ups and downs. “The fact is, a season is kind of like life. You’re going to face adversity at times and it’s a matter of how you respond and how you deal with that adversity. I’m very proud of the team and the way we’ve responded. “Just look at the start of the second half (Saturday): We fumble (the kickoff) and then give up a big touchdown. People were probably getting kind of nervous in their seats, but we responded and we came back and look at the outcome. In 2015, when Jones was the head coach in Edmonton, the Eskimos won 10 straight games to finish the season. That included a 26-20 decision over the Ottawa Redblacks in the Grey Cup game. In Saskatchewan this season, the offence’s production went from 303.0 yards of net offence in the first six-game segment to 318.2 in the second to 347.3 in the third. The defence, meanwhile, went from allowing 306.0 yards of net offence in the first third of the season to 362.2 in the second to 284.3 in the third. 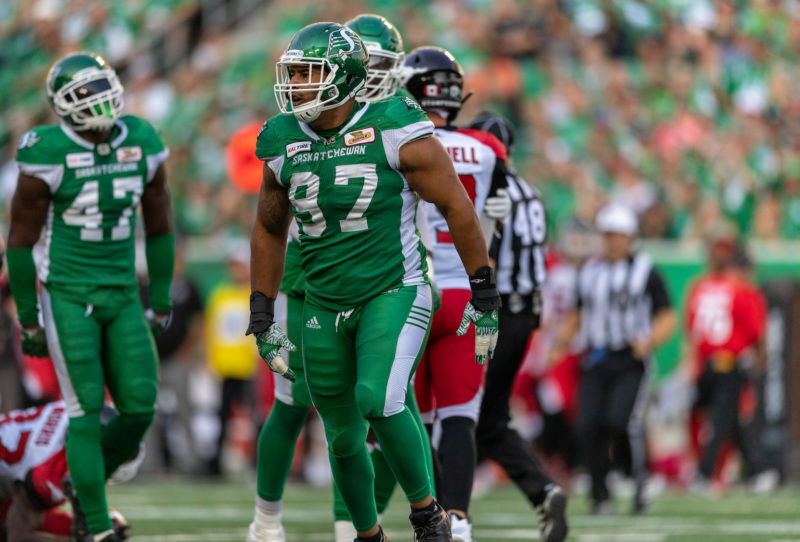 The Roughriders, who have a bye in the final week of the regular season, go into Week 21 with the CFL’s top defence in net offence allowed (317.5) and rushing touchdowns allowed (12). 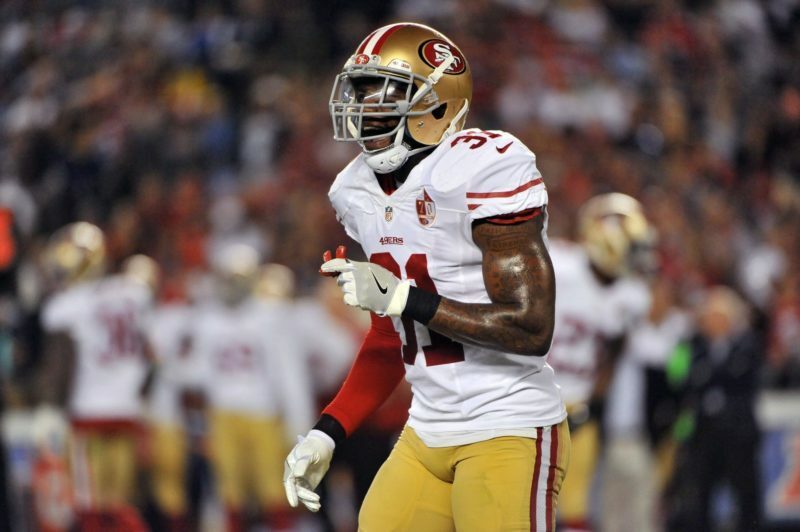 They’re second in rush defence (an average of 91.9 yards per game) and third in pass defence (245.8 yards per game). The defence also tied a CFL record with 11 return touchdowns (eight interceptions, three fumbles) this season. On the other hand, the offence has struggled at times. 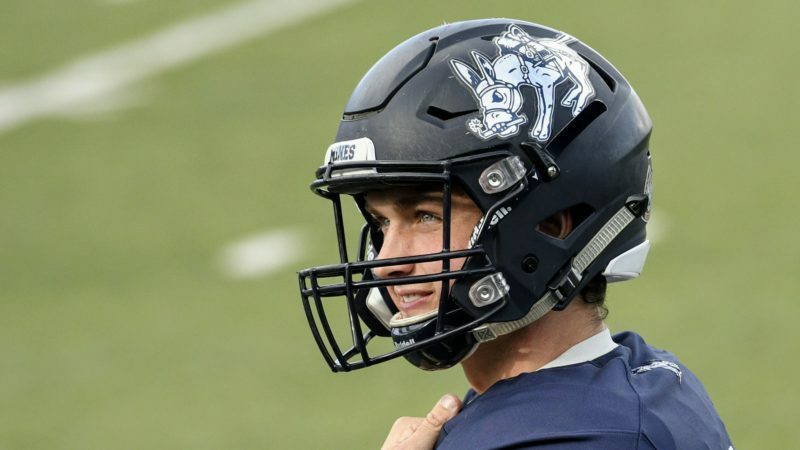 A team that led the CFL with 35 passing touchdowns in 2017 recorded a league-low 11 TD throws in 2018. This season’s offence also went into the final week of the regular season ranked seventh in net offence (322.8 yards per game) and eighth in offensive TDs (25). But the last six-game stretch featured three of the offence’s top five net yardage totals of the season as well as three of the top five rushing showings of the campaign. It all has added up to the Roughriders’ first 12-win season since 2008.